RoKC Climbing Gym built a climbing wall for dogs at the new Bar K Dog Park near Berkley Riverfront Park. But these days, more joggers, bikers, volleyball players and dog walkers are taking advantage of the park, residents have begun moving into the luxury Union Berkley Riverfront apartments, and Port KC has proposed extending the streetcar line to the park. 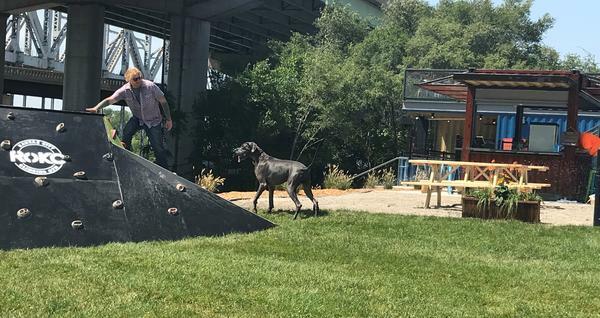 With all that momentum, Leib Dodell and David Hensley saw an opportunity: A boutique dog park, set to open on August 14. Bar K Dog Park combines a dog park, restaurant, coffee bar, event space, obedience school and groomer, all housed in an industrial structure made of multi-colored shipping containers just north of the River Market under the ASB bridge. A one-year membership is $225 for the first dog, $25 for each additional dog, while non-members can come with a day pass for $10. 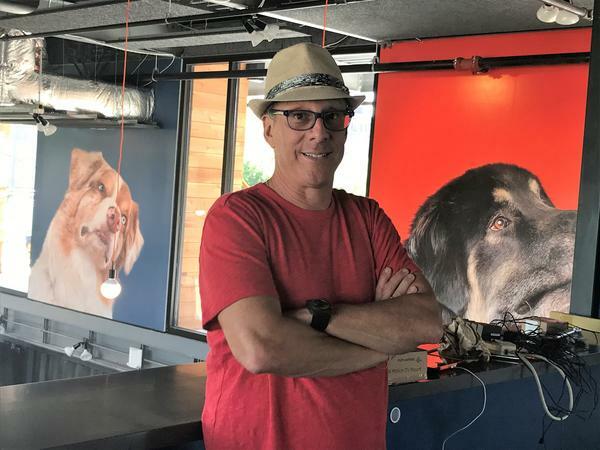 Dodell, a former lawyer and media insurance broker, says he and Hensley came up with the idea because they wanted a place where dog people like them could hang out with friends — and their dogs. “Yes, there are public dog parks — we’re actually very lucky in Kansas City to have a number of them,” Dodell says. “But there’s nothing for the humans to do. And conversely, there are some bars and restaurants that allow dogs on their patios. The humans have a great experience, but dogs are confined on a leash." More than a third of American households own a dog, almost 44 million homes. The pet industry is estimated to be worth more than $72 billion dollars this year. Around the country, entrepreneurs are recognizing the potentially lucrative market. Dog-friendly restaurants, most with canine menus, are popping up. Many cities have dog parks with snacks and drinks for humans. 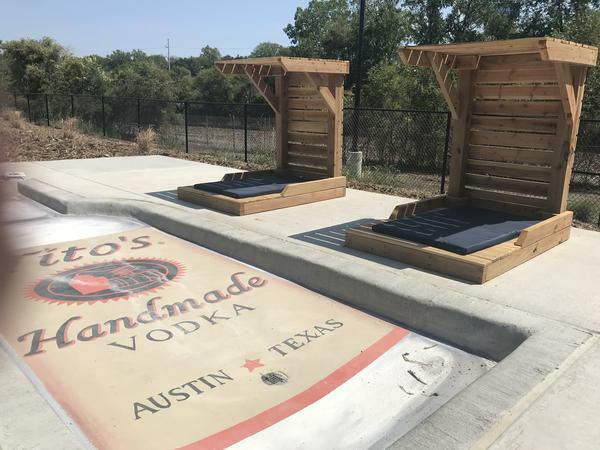 Bar K's restaurant will be for people only, but owners can leave their pet outside under the supervision of trained dog watchers. From time to time, speakers will come to talk about animal health, training and nutrition. The largest green space spreads out beneath the massive ASB bridge. In the middle, RoKC has built a custom climbing-gym for dogs — a tiny mountain with pegs for the dogs to climb. Gazing east from the glass enclosed lounge are the Bond Bridge and the newly opened Union Berkley Riverfront apartments. "We're coming in at at a time when Kansas City is finally beginning to recognize what it has in its river," Dodell says. "Why not enjoy that with your dog?" Laura Ziegler is a community engagement reporter and producer. You can reach her via email at lauraz@kcur.org or via twitter @laurazig.